A comfortable hotel in the center of a lively neighborhood of Indore. Situated on the side of a busy neighborhood, Hotel Emerald is one stunning hotel with regal exteriors that will make you stay blissful and serene. 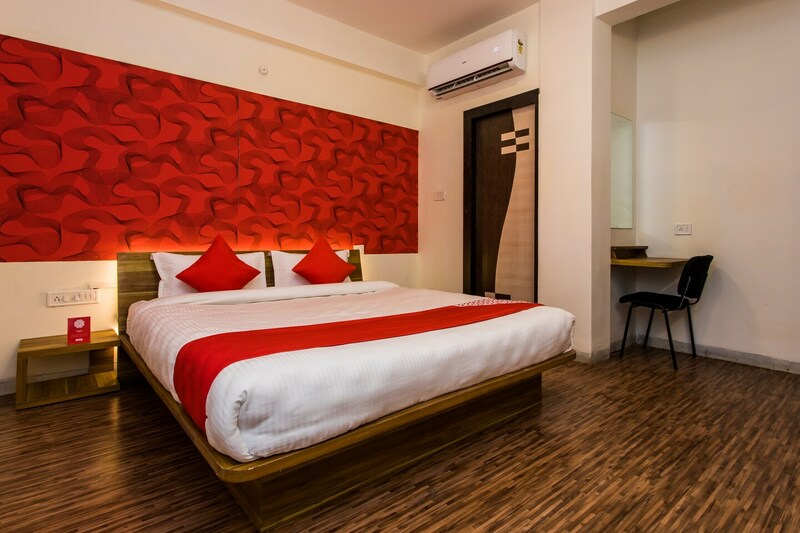 The rooms are super clean and spacious with wooden flooring adds a comforting quotient in your stay. The uniquely designed rooms have a minimalist design and a vibrant color scheme complementing the energy of the city. Various restaurants near to the hotel is a tranquil place to hang-out and delve into the local cuisines. Key attractions like Lal Bagh Palace, Vaishnav Dham Mandir, and Annapurna Temple are in safe distance from the hotel.